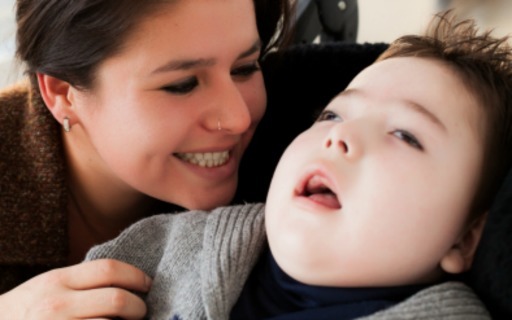 The Darling Home for Kids provides high quality respite and palliative care services for children who are medically fragile and technology dependent, many of whom suffer from progressive illness. It has been an incredible journey. The Darling Home for Kids has been providing comfort and joy to families for over a decade. From the initial vision to the reality of a home away from home providing care to medically complex children for over a decade, we are truly a home filled with love. It is a fundamental philosophy of The Darling Home for Kids that all children be loved and valued, and given the opportunity to be challenged in an environment where they can thrive. We thank the caring people who have touched the organization in many ways: our generous donors, committed volunteers, building partners, the community, and all of the friends who believed in us and helped us along the way. The mission of The Darling Home for Kids is to optimize the quality of the lives of children with life-limiting or life-threatening illness requiring complex and/or technology-dependent care. We do this by providing respite services and paediatric hospice care in a home-like environment to families within communities in Ontario, with highly qualified nursing and support staff that can give out-of-home overnight care, bereavement support and educational training to these families. Our vision is to be an oasis of comfort and joy for the children and families we serve. Comfort in knowing that our special children receive wonderful care in a beautiful, warm environment. Comfort in knowing that their parents are able to take a break from the hard work of being parents of special kids and that there is a continuum of care from respite through to palliation and end of life care, when needed. Joy in visiting the Home and hearing the laughter and seeing the smiles on our kids faces as they explore new activities unavailable to them elsewhere.